This page provides a summary of the WeBS Alerts. 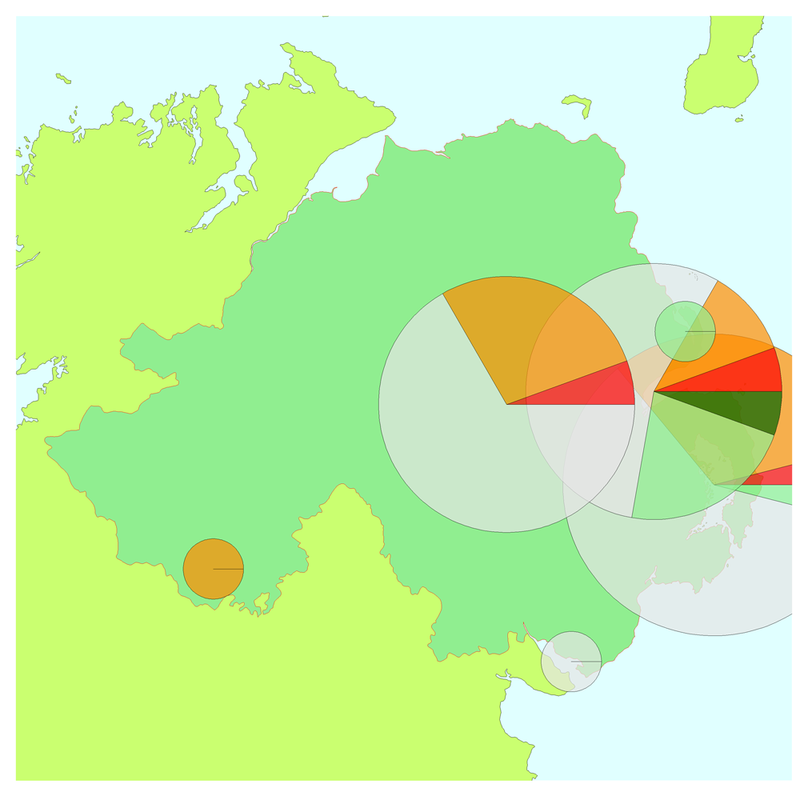 The site data can be viewed either on a map or graphically - click on an image to enlarge. 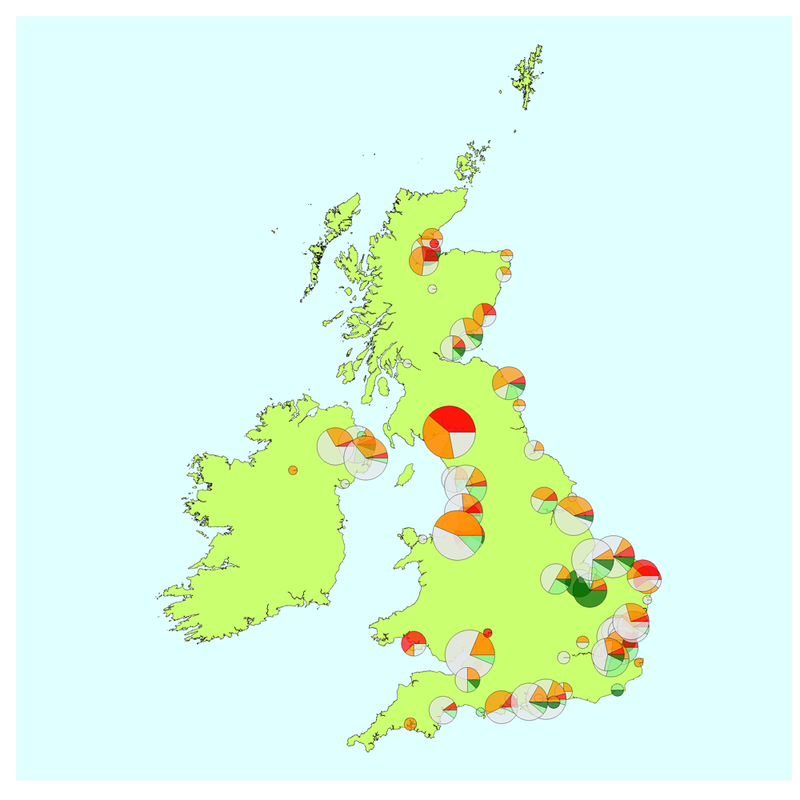 For further discussion of national trends for individual species in the UK, please consult the annual WeBS report. 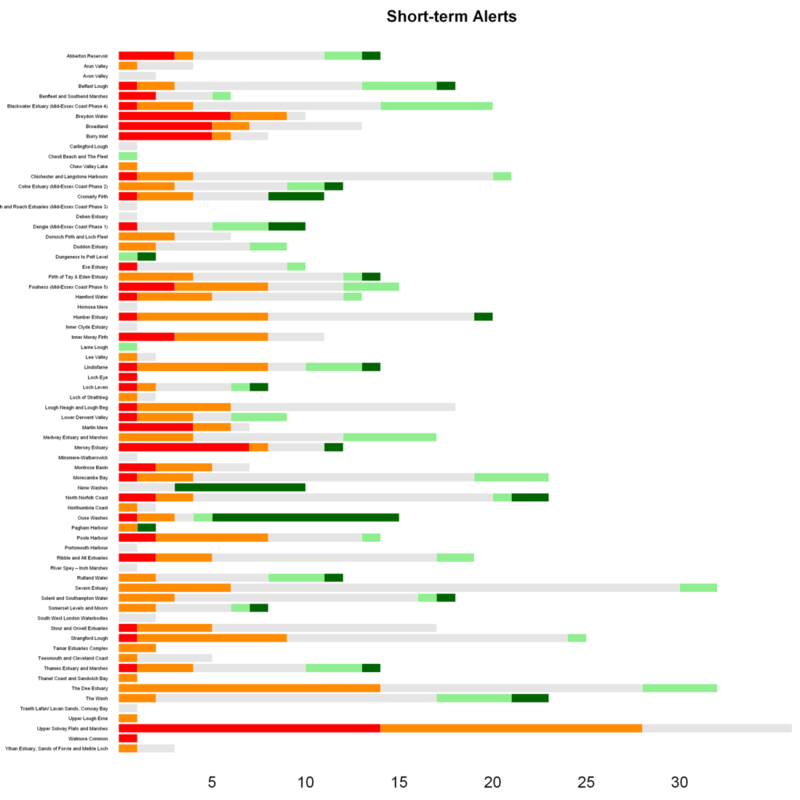 These stacked histograms show the Alerts status at each SPA during the short-, medium- and long-term. Just hover over one of the three icons on the right hand side and the histogram will change. Click on an image to enlarge. Each bar represents an SPA identified by name, sized according to the number of waterbird species for which the site is designated, and divided according to the Alerts status of those species. 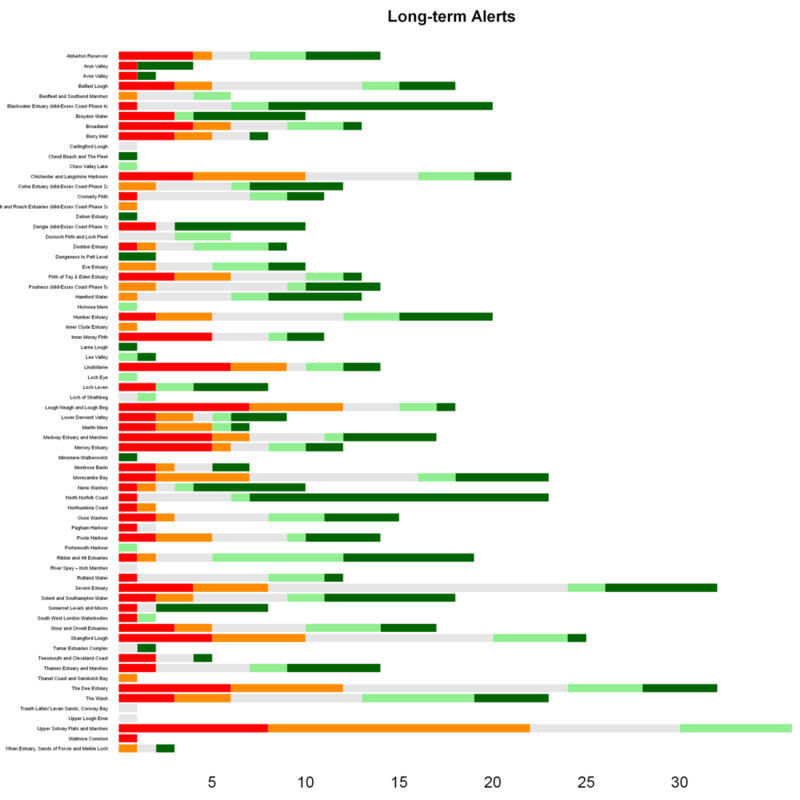 Red = High Alert (>50% decrease), Orange = Medium Alert (25%-50% decrease), Grey = stable (25% decrease to 33% increase), Pale Green = Medium Increase (33%-100% increase), Dark Green = High Increase (>100% increase). In the "Order by" dropdown, you can choose to view the histogram either by listing the sites alphabetically or in terms of severity of Alerts status. 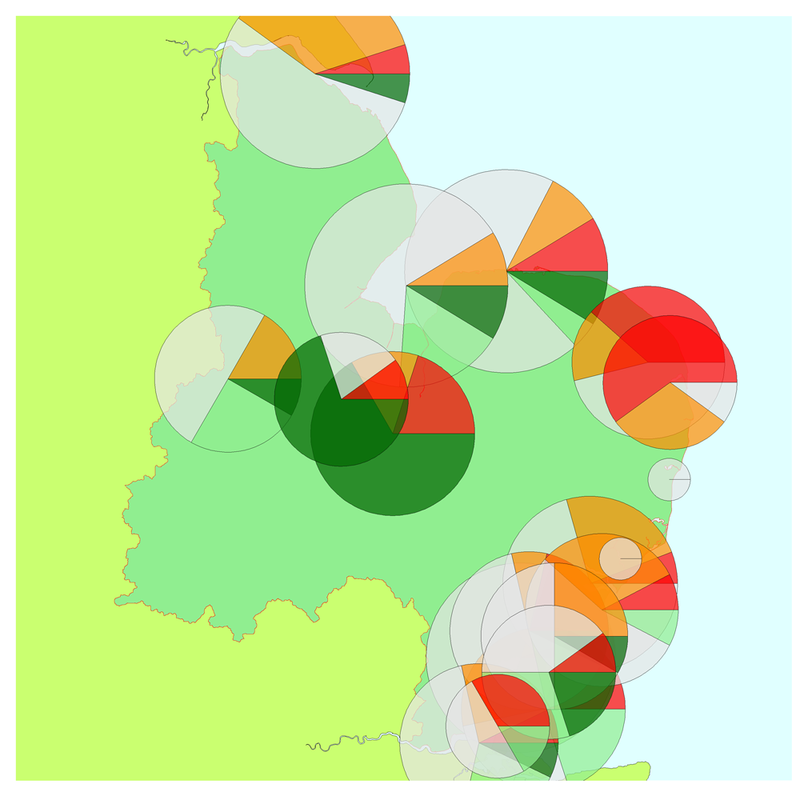 These maps provide a visual impression of the Alerts in the UK during the short-, medium- and long-term. Although charts may overlap, the visual impression is maintained. Just hover over one of the three icons on the right hand side and the map will change. Click on an image to enlarge. Each pie chart represents an SPA, sized according to the number of waterbird species for which the site is designated and divided according to the Alerts status of those species. 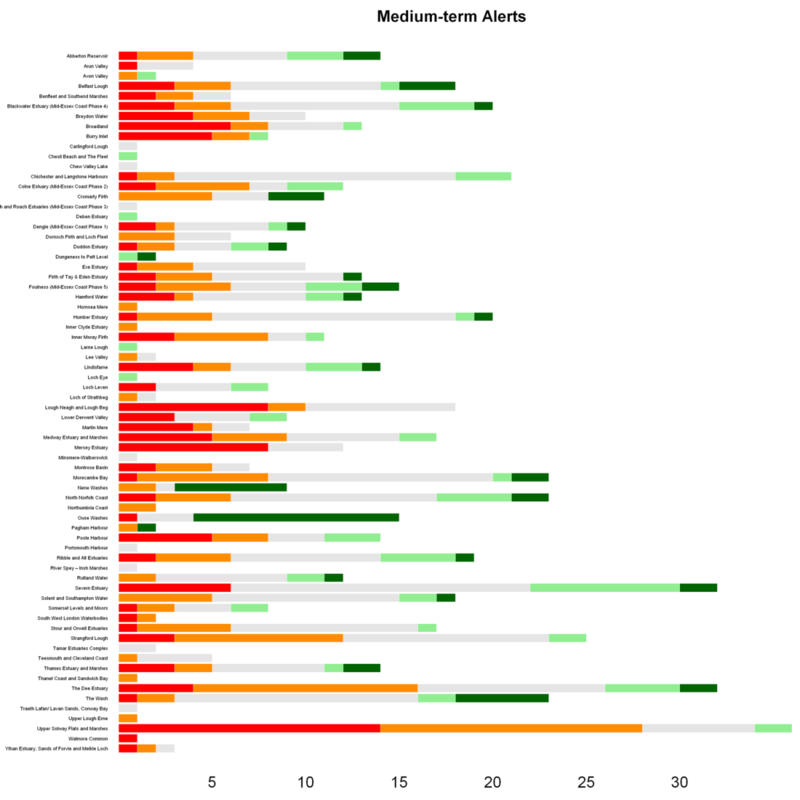 Red = High Alert (>50% decrease), Orange = Medium Alert (25%-50% decrease), Grey = stable (25% decrease to 33% increase), Pale Green = Medium Increase (33%-100% increase), Dark Green = High Increase (>100% increase). In the "region" dropdown, you can select by different regions within the UK in order to see a more detailed map of the area you might be interested in.